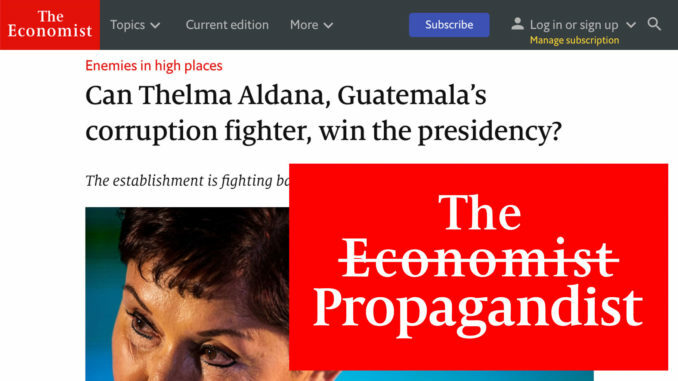 What The Economist didn’t tell you about Thelma Aldana? evanescent from the very justice she claims to represent. Here I’ll will dissect each and every one of claims with the actual facts first. A heroine or a fugitive? In fact José Carlos Marroquín Pérez, the son to the owner of local newspaper “La Hora” (propaganda outlet in her favor in my opinion) was hired by Aldana to be her personal image consultant during her mandate which is scandalous, since the attorney general expended almost a million quetzales (around USD $130.000.00) to hire an unnecessary image advisor, what’s also ludicrous, is that Marroquín Pérez is an asylee in the USA under flase refugee status. Non the less, according to Guatemalan law, hiring an abscent chargé d’affaires with government money is illegal. The Economist turn their blind eye to the facts? coadjutor. Ten years latter, finding the news coverage about this matter is possible thanks to sites that keep copies of web pages, that serve still as evidence online against Aldana. And just in case this articles get deleted, here is an archive of the articles as screenshots: https://imgur.com/a/KvCGBln. The Economist claims that Aldana jailed some 250 people before leaving office in 2018, dismissing the fact that just a few handful of cases have resulted in a finnal sentence and conviction, also missed to acknowledge that several of the jailed are being jailed for years without being defeated in court or even in cases heard by a judge, most these cases are being delayed in the judicial system because of the lack of hard evidence, mainly because of the poor work done by Aldana’s prosecutors, who rely primarily on creative narratives and gossip published by sensationalist propaganda news media. This practice of jailing people for years is illegal and a serious crime, guatemalan laws state that preventive detention is the exception of the rule and not the rule, and that preventive detention cannot be for longer than one year failing to be longer is a blatant violation of human rights. This inhumane practice is nothing to brag about, but an issue to be concern. It is an alarming fact that 52% of incarcerated inmates by the judicial system are in preventive detention (meaning that they haven’t had a court hearing, or a trial) this issue has been addressed by many human rights organizations and even the CICIG has in fact manipulated judges to delay hearings to dieter the morale off their caucused. Aldana vs. Morales or vs. the Guatemalan People? 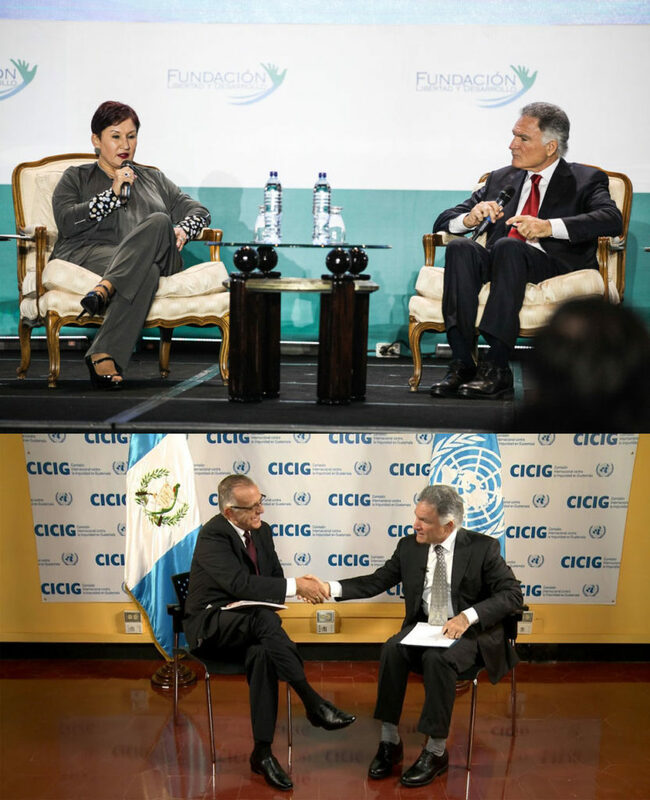 It is tiresome to see the media repeat the same false narrative that there is a feud between Thelma Aldana and President Morales, on 2015, President Morales on his good faith naively renewed the CICIG agreement for two more years, after several allegations of human rights violations and after an illegal raid to the Presidential Residency done by the CICIG using PNUD’s assigned vehicles, Morales planed a trip to the United Nations to denounce this abuses. Aldana with the help of CICIG, attempted to indict and prosecute President Morales with several absurd allegations, from campaign finance violations to claims that his brother and son were embedded in a corruption case that happened two years before Morales ever thought possible to become president, Theres no evidence that Morales political party, FCN-NACION, received any illegal proceed money, and the allegations against his brother and son were a mere administrative offense that didn’t require penal prosecution. United Nations never addressed all allegations of human rights violations and illegal raids made, this lack of attention and negligence by the former president of the International Socialist and currently Secretary General of the United Nations, Antonio Guterrez, made our President Morales take the hard decision of declaring commissioner Iván Velásquez persona non-grata, this is a mechanism well defined in The Vienna Convention on the Law of Treaties, it is international law, the president is the only one in charge of international relations as it is stated in our Constitution, but the corrupt “Corte de Constitucionalidad” (constitutional court) ignoring our constitution, give legal protection to Velásquez. This was an illegal act. 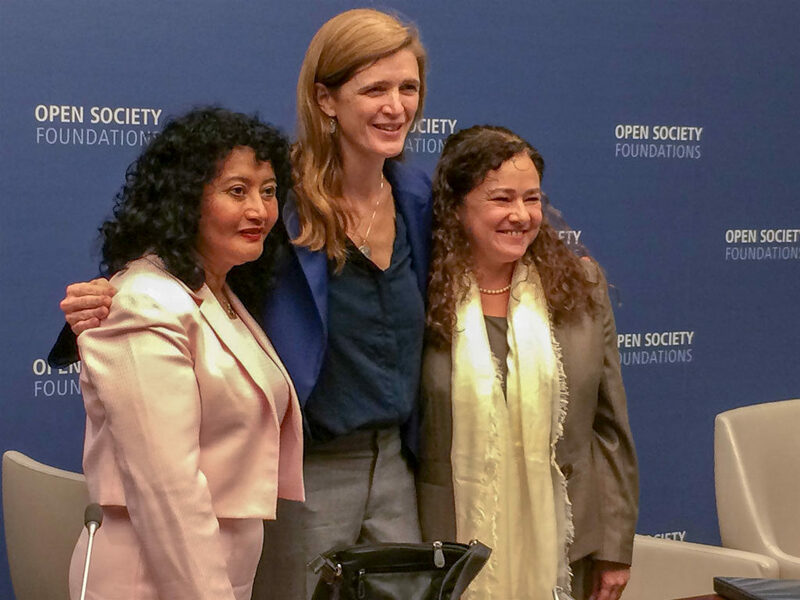 The bast majority of Guatemalans see Aldana as part of the corruption, not as a heroine, Aldana must lead by example and be faithful to her words and to appear in our courts to address all the charges against her. The Economist call Aldana as a “de facto leader of a movement composed of activists, judges and friendly foreigners” she is not, the so called activists turned out to be part of her party, from #JusticiaYa to Movimiento Semilla, which have recently become the political party that claimed her as her presidential candidate, the “judgeds” that support her are either afraid of the criminal structure behind her, or are part of the structure, and the “friendly foreigners” are mostly democrats aligned with NGO’s founded by the Open Society Foundations of George Soros, most Guatemalans see all this structure as the root of the new mutation of corruption in Guatemala. This structure IS NOT trying to establish the rule of law in Guatemala, but have stablished a lawfare state, anyone is guilty until proven innocent, this is unacceptable. 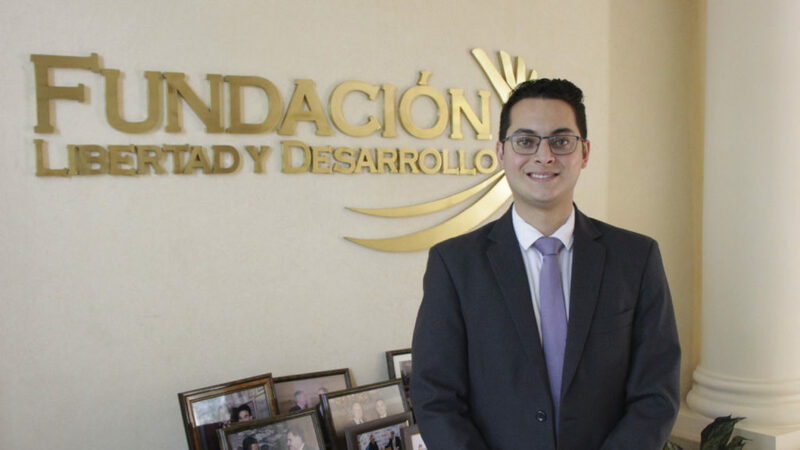 It is quite funny that The Economist claim that Aldana “would be the first president that [Guatemala’s oligarchs] can’t control”, words made by Edgar Ortíz Romero, a minion and an online bully that works for the richest Guatemalan oligarch, Dionisio Gutierrez in “Fundación Libertad y Desarrollo”, a foundation that Dionisio uses to promote his political agenda. The Economist share Aldana’s supporters claims telling that all chargers against her are political motivated, but all the charges were made before she even leave her position as Attorney General, she couldn’t be prosecuted before, and the judge in charge of the case have told that there is more than enough evidence to held a hearing, that The Economist fail to tell is that Aldana could avoid being a fugitive if she attended this hearing, because her negligence she is now wanted as a fugitive. The electoral law in Guatemala is clear, immunity is given after being officially accepted as a candidate, to materialize this act she have to give an affidavit declaring that she doesn’t have any open case against her, and she already have charges against her. For her, there is no way to be a candidate nor to have immunity at all. In her current position, she is entitled to nothing but to face the charges against her. The Economist blames Guatemala’s civil war for the current state of our internal affairs, and it’s pretty draining to read the same narrative over and over and over again. 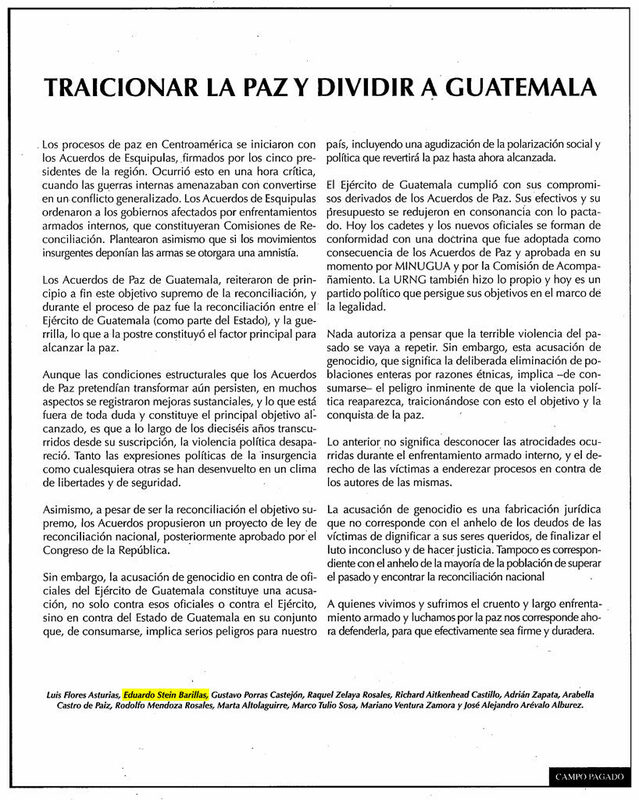 No, the civil war has nothing to do with the current state of politics, most Guatemalans have no interest in dealing or discussing this topic, most Guatemalans are over this, only a few people, mostly left-leaning and far-left activist, mostly founded by the Soros Open Society Foundations, in fact, most people were living in peace until 2013, when all this NGO’s promoted a “holy war against impunity for crimes agains humanity” jailing former army forces who defeated guerrillas that killed thousands of innocent civilians, our society became quite polarized because of this activism and legal actions. The ordinary citizen is more concerned about having/finding a job, for security on the streets, to have health and decent education, he is not interested at all in discussing issues about the internal armed conflict, a conflict that ignited when some marxists tried to establish a socialist regime and failed in their ambitions. The Economist claim that in 2006 the Guatemalan government invited the UN to create the CICIG in Guatemala, this is not accurate. As it is stated by the convicted former president Alfonso Antonio Portillo Cabrera, he discussed the creation of this UN body with Edgar Armando Gutiérrez Girón, a former guerrilla leader and then Minister of Foreign Affairs of Portillo’s government, the agreement was signed by Eduardo Stein Barillas (also with links with leftist groups) on US soil, even while our law clearly states that any foreign agreement have to be signed in Guatemalan soil, the Guatemalan people were never consulted to have this fourth power in our republic, and many high regarded law scholars were against the creation of an unaccountable fourth power. CICIG mission was to stop rampant corruption, but it focused on political cases and cases against former army officers. The Economist claim that thanks to more than 100,000 protesters, Otto Pérez resigned, this is far from true, there were many people protesting, but the role of the US embassy on his resignation was crucial, ignoring this fact is outrageous. The Economist claims that local business complains that the state’s aggressive recent efforts to collect the taxes it is owed endanger growth and that courts are issuing rulings that damage enterprise, but it is not a claim, it is a fact. Juan Solórzano Foppa, former prosecutor and then former tax superintendent was known for creating an illegal office to to criminally prosecute any business owner who disagrees with him, after being denounced on a TV Station, he publicly called out the owner of this station with allegations of tax evasion, revealing her private information on Twitter, he is being investigated for this illegal office and for this altercation. Former tax superintendent Juan Solórzano Foppa was called out for hiring a friend from Cuba who gave him lodging while he was living in Cuba, granting him a wage over Q50,000.00 (around $6,600.00, while the minimum wage in Guatemala is around $400.00) , there are allegations that this cuban friend, José Ernesto Ramírez Ruiz, is part of the cuban intelligence. Under Solórzano Foppa administration, two tax offices cough fire, and “coincidentally”, both fires were “investigated” by Luis Arturo Assardo, a “journalist”, “firefighter” and “social media expert” that has only be hired to investigate three cases, two related to Solórzano Foppa. The Economist quotes Nómada’s owner and editor, Martín Rodriguez Pellecer, but it doesn’t include that Nómada is founded in part by the Open Society Foundations, as many other far-left NGOs, they are the establishment, you cannot disagree with them without being censored from any social network, his site is NOT a news site, but Soros propaganda, one of the founders, Julio Roberto Barrios Prado, was one of the prosecutors on “La Línea”, the case that took Otto Pérez out of the presidency. The Economist call Efraín Ríos Montt a dictator during the civil war, but if you are smart enough to look even in Wikipedia, you’ll know that his government lasted only one year, four months and sixteen days, he didn’t commit any coup, he was asked to be the Acting President after a coup, and was subject of another coup. Compare this to Castro, Chávez or Maduro’s regime. 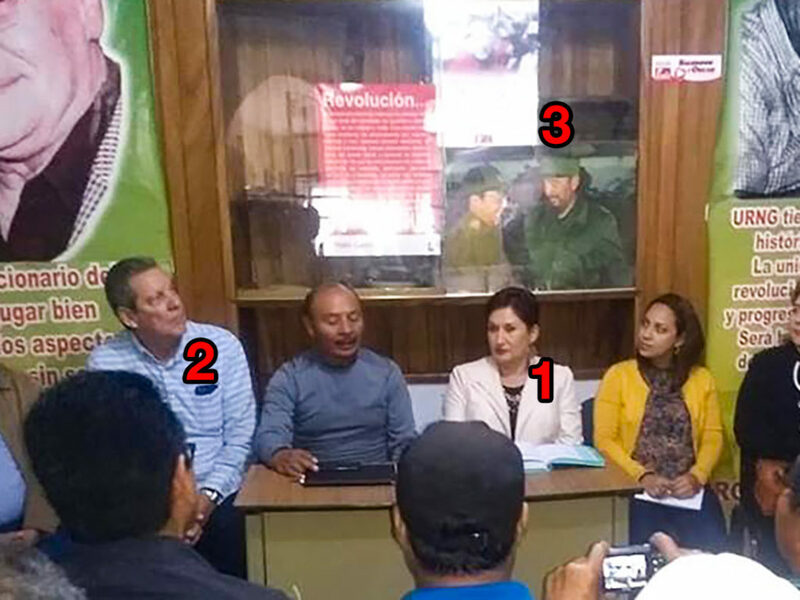 However, despite the lack of any evidence against Ríos Montt, he was condemned by Judge Jasmin Barrios, the sentence was then repealed by the Constitutional Court, however, Judge Jasmin Barrios was awarded $25,000.00 US dollars for “his bravery” (not a bribe), What NGO appears at the bottom of the image where they reward it? The magistrates of the Supreme Electoral Tribunal. She doesn’t fit any of this considerations, her late father fitted the first consideration, but she does not fit at all. This considerations were made to prevent any current president or vice president to run for office, not to ban any relative of any official to run for office. Video with the former guerilla and now political party URNG. The Economist also claims that she is all about human rights, she is not, she and Velásquez created a lawfare state jailing hundreds of people violating theirs humans rights and the rule of law, she is the complete opposite of a human rights advocate. The Economist also claims that is she could get elected as president, she could continue her “fight against corruptions” with “some obstacles”, this is entirely false, anyone who understand how a republic works know that the power in charge of applying justice is the judicial power, the executive branch can only execute, it cannot dictate nor take any action without the expressed request from a judge or a law. And CICIG mandate will NOT be renewed at all, that experiment is over. The economist closes the note on Aldana appealing to the reader talking about the poorest Guatemalans who do not have access to food and clean water because of corruption, but the note contradicts itself, telling that “Anti-graft hashtags do not go viral in villages, where other needs are more pressing” and then “But more Guatemalans are coming to believe that the state will not solve such problems until it deals with corruption”. 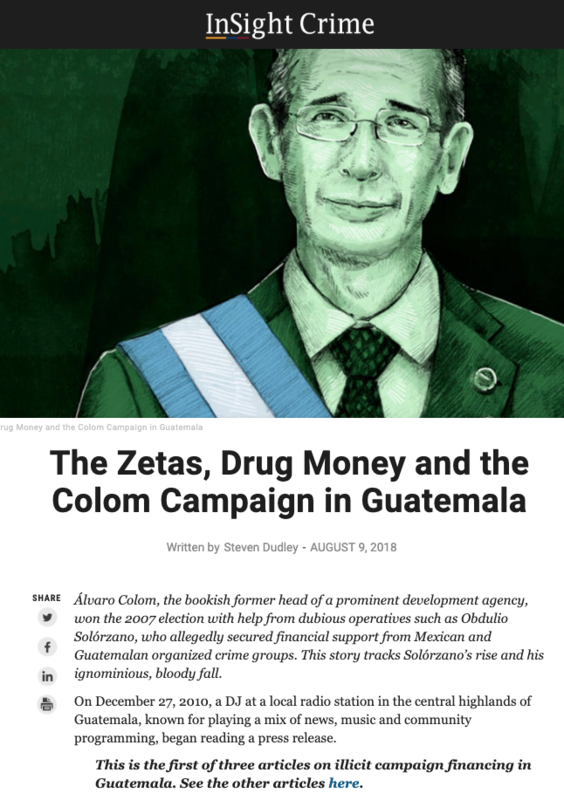 Truth is that most Guatemalans can’t care less about corruption, not that this issue doesn’t affect them, but most of us have to deal first with jobs, food, security, transport, etc. people are more concerned about getting alive while going to work daily because of the rampant violence on the streets, corruptions is not one of the top concerns of the common citizen. Polls shows that Aldana is not even in 5th place, real polls and not the ones pushed by Dionisio Gutierrez by many of their peers or minions, and we haven’t even started political debates, where her lack of presence and personality would cost her to lose even more “popularity”. Unbiased well informed Guatemalans that have a mind of their own fear that the electoral body in charge of the elections (Tribunal Supremo Electoral) is meddling our elections, the incredible short time with which they carried out all the procedures and paperwork for Aldana’s Party is a great example of that, something that all other parties have denounced. Leopoldo Armando Guerra Juárez, the electoral official quoted by The Economist of talking to CNN, had a daughter that use to work for Aldana, and his other son use to work for the electoral body which his is now in charge, both facts put him in the spotlight as corrupt and biased towards Aldana. A biased media, the censorship by social networks and the lack of transparency by the electoral body have everyone concern about an electoral fraud, one of the main reasons we don’t want Aldana’s participation in this elections, in addition to current corruption allegations against her. It is quite sad to see that The Economist lack any journalistic standards, it doesn’t provide any evidence for their many claims, it doesn’t shows who wrote the article and the basis of any claim, it follows the same narrative almost all biased left-leaning local media publish here every day, it didn’t include oposite views and didn’t include all sides of the story, making evident how bad journalism is at the global scale.